Happy Easter everyone! Let us rejoice and be glad for Jesus our Savior has risen! Hubby and I will be hearing a morning mass real soon so this will be a quick post (I'll try though). To celebrate Easter, two of my favorite bands will be performing today! I bet you heard the announcements on the radio or you've seen their posters and billboards while on the road. and I overheard their music. 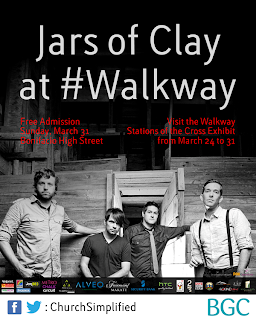 Jars of Clay is a Christian rock band from Tennessee. Ooohhh! Their lead vocalist, Danny reminds me of Orland Bloom. Sigh! There you go, the man who can't be moved himself. 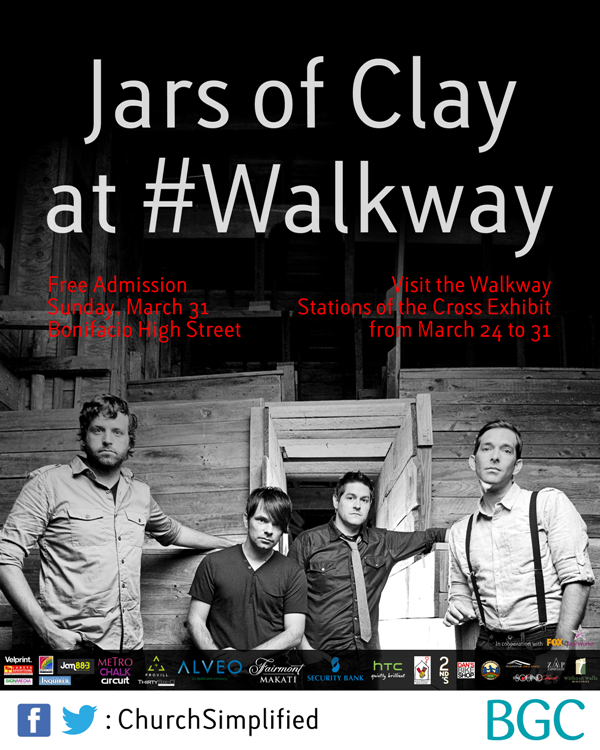 I've been wanting to see both bands especially Jars of Clay. I always played theirs songs Fly and I Need You over and over again. My friend who is a Christian knows them and I bet he probably played some of their songs since he is in their ministry band playing bass. I bet there will be a lot of people going to BGC today to see this band since the admission is free! Not so long ago, The Script, an Irish band came here in the Philippines two years ago and they're back for the follow-up of their "Science and Faith" album and to promote their third album, "#3". Wow! They already have 3 albums! I personally loved the song, The Man Who Can't be Moved and For The First Time. 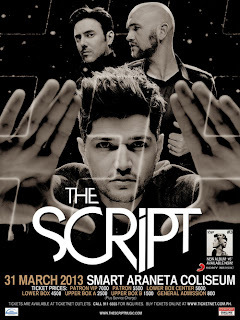 Tickets may be purchased from any Ticketnet outlets or at online at www.ticketnet.com.ph. For inquiries please call 911-5555 and you might still snag some tickets for today's concert. So take your pic guys, which is which? What a cool way to celebrate Easter huh?